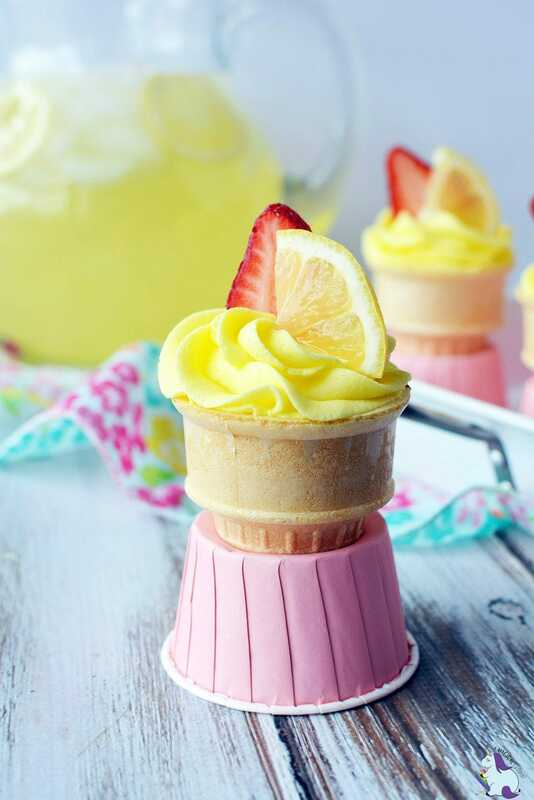 Cupcakes in a cone are an extra special treat. The creative presentation of cone cakes will make anyone smile. 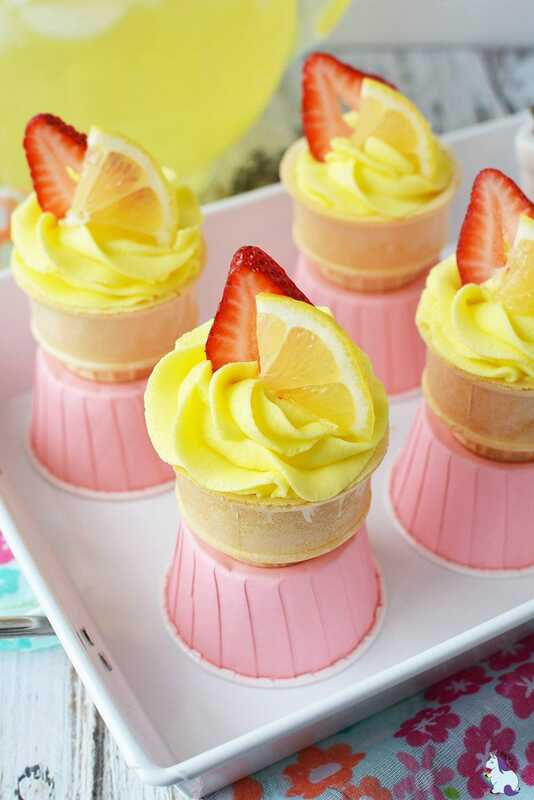 We have a strawberry lemonade cupcakes in a cone recipe for you that’s perfect for Mother’s day, bridal showers, Easter, or just anytime. 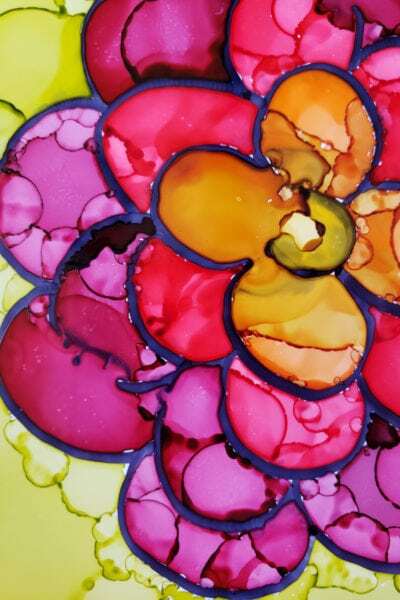 The colors are bright and fit right in with any spring or summer theme. What is a cone cake? 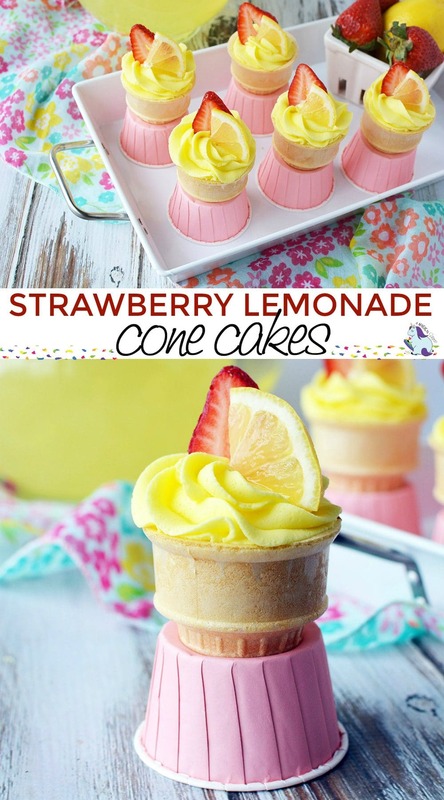 A cone cake is a cupcake baked into an ice cream cone. During baking and decorating it’s often challenging to get all of the cones to remain upright. The chances are good that you’ll end up with an unfortunate magical mess. Enter Yippee Cone Cakes bases. The bases assure your cakes will behave themselves throughout the process. 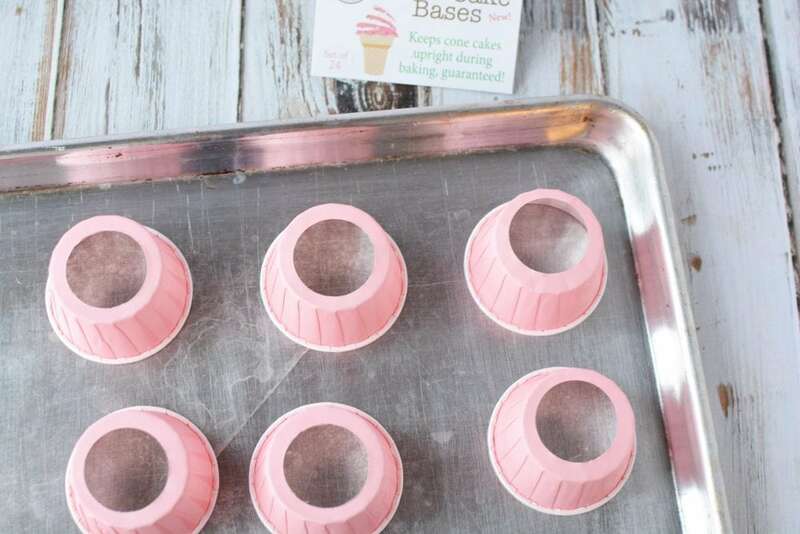 The bases keep the cones standing during baking, decorating, and serving. They may even catch drips to save some mess. 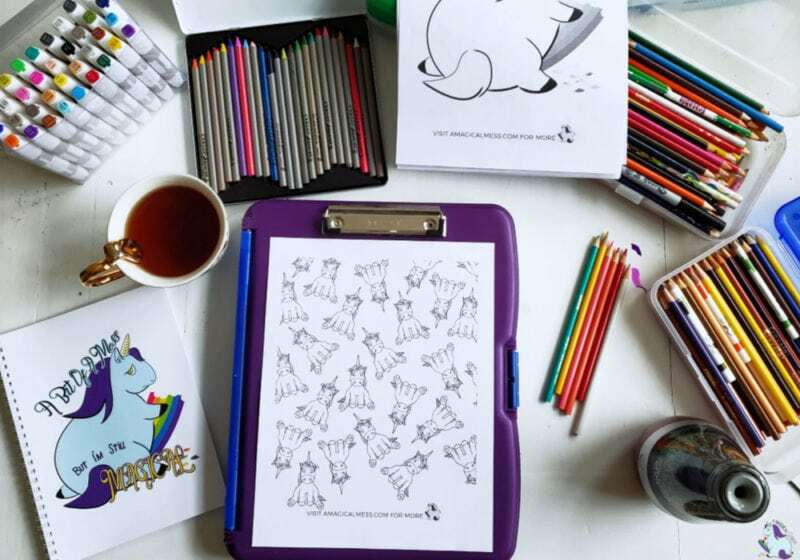 Plus, they are pretty and add extra color to your masterpiece. Kari worked with Yippee on her Chocolate Covered Strawberry Valentine Cone Cakes and was so happy with them that she was eager to do one for our blog, as well! Cupcakes in a cone are easier to eat with less mess at parties. Since the container is edible, just take off the base and chow down. For kids, it’s easier to hold the cone than try to remove a traditional cupcake wrapper. Maybe even prevent an extra bath time? No promises here, but cone cakes are definitely more fun to eat. Cupcakes in a cone are super fun to eat. 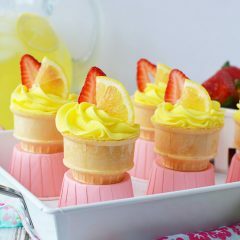 Here is a recipe for strawberry lemonade cupcakes. Preheat oven to 325 and place Yippee Cone Cake Bases on a light-colored baking pan. Place 1 ice cream cone into each base making sure to press the cone gently but firmly onto the base. Set aside. Prepare cake mix according to package directions. Spoon batter into prepared cones up to the fill line on the cones. Bake for 18-20 minutes or until toothpick inserted in the center comes out clean. Let set to cool completely before frosting. Beat butter for 30 seconds in a mixing bowl. Add sugar and lemon juice and beat for 2 minutes. Add food coloring if desired. Continue to beat until you have a frosting consistency you can work with. If you need to add additional liquid, add 1 teaspoon of lemon juice and beat well after each addition. Place a large star tip onto a piping bag and place frosting into the bag. Pipe the frosting onto the cupcakes. 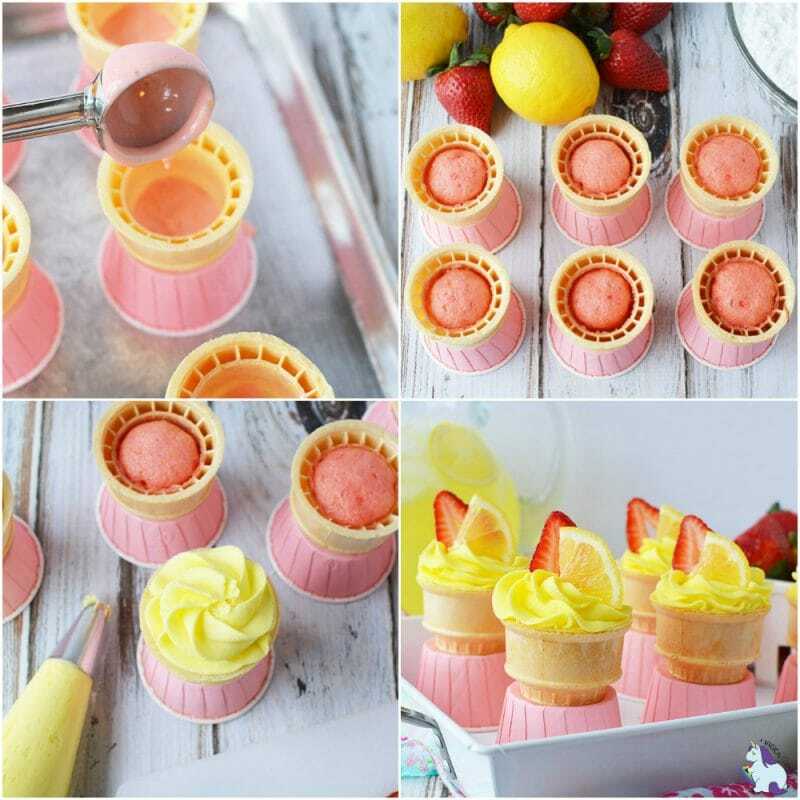 Top each cupcake with a sliced strawberry and lemon slice. 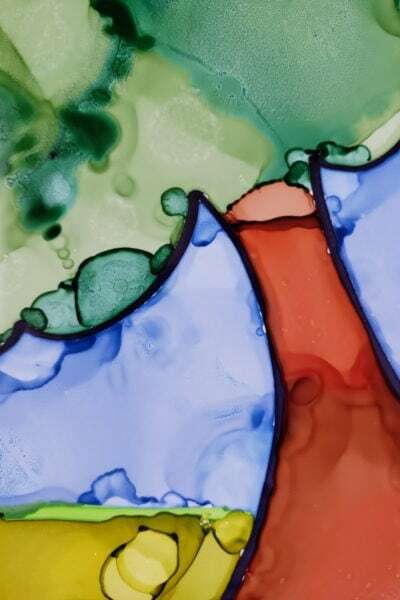 Use coupon code: MAGICAL to receive 15% off your order at YippeeConeCakes.com. Code expires March 1, 2018. One lucky winner will receive a set of Yippee Cone Cake Bases! GIVEAWAY ENDED. 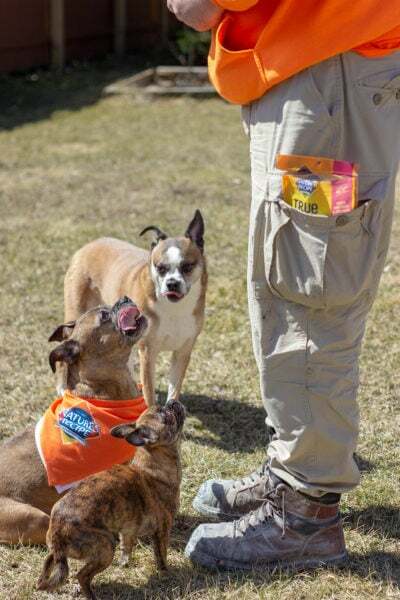 CONGRATS to winner: Cleo M.
What flavor cone cakes would you make first? I love the idea of making cupcakes in a cone for my 2 granddaughters’ birthday parties instead of a cake. These bases are perfect to keep them from tipping over. I like the mini dots bases. I have never tried making these before but I have seen them. 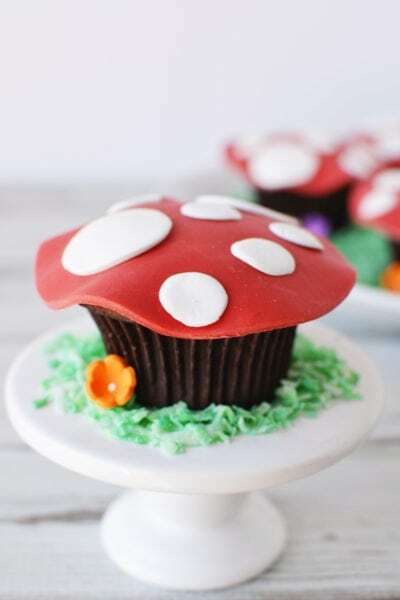 I think I’m going to see if my daughter is interested in having these for her next bday so I can try my hand at making them! I love the looks of these beauties!! They are so colorful and they make me very hungry! Great item to make!! Thanks for the nice giveaway which gives an incentive to cook!! These are super cute. I’ll have to make these for my daughters birthday. 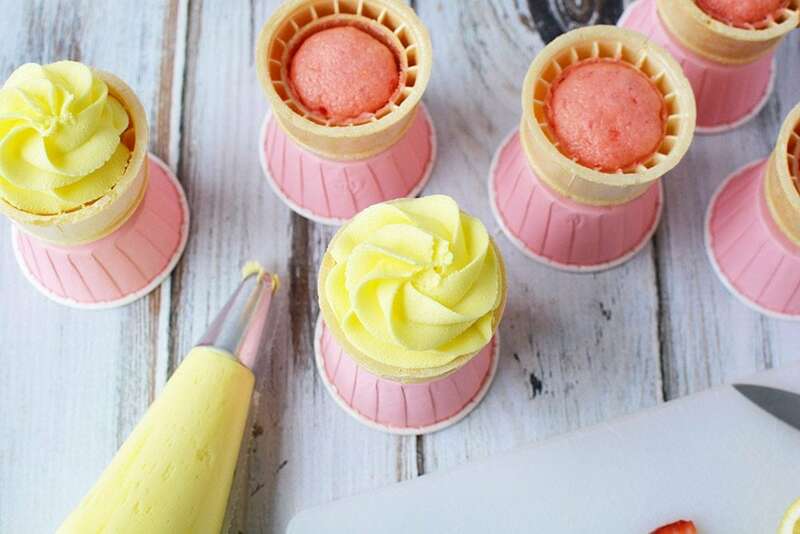 These look so cute, I do want to try baking cakes in ice cream cones, so now I can with this recipe. This product would help cake cones stand. These are one of the favorite snacks of my Girl Scout troop! I’ve made cupcakes in ice cream cones for over 40 years now. Always made them using round cake pans with the ice cream cones nestled together. Yes, they often don’t cooperate, but in time mastered it. However, these holders look perfect and I like the fact that they add to the display of the cakes when serving. Bookmarked their website and would love to win a set to try them out first. My daughter’s birthday next month and these would be so perfect instead of just making a cake like I usually do. I love the taste of lemon and I can imagine how wonderful this dessert taste. I made cupcake cones many years ago and it was such a mess I never made them again. But after seeing this recipe and the cone cake bases to hold them, I am going to try them again. Holding the cones up so they didn’t fall over was the main reason I didn’t like making them. It was such a mess. 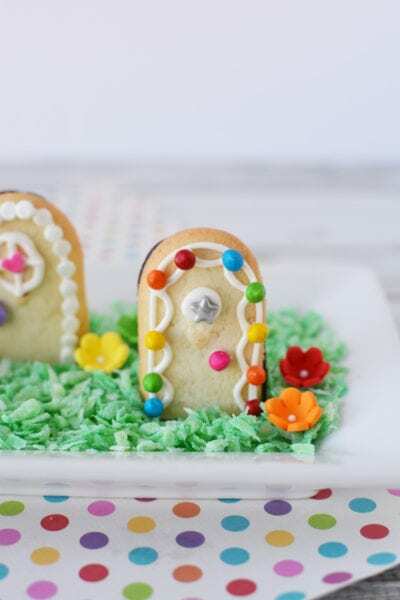 These will make such a treat for my grandchildren on Easter. This is such a pretty idea. You always have great recipes! These turned out great and so beautiful! What a nice presentation and perfect for a summer party!